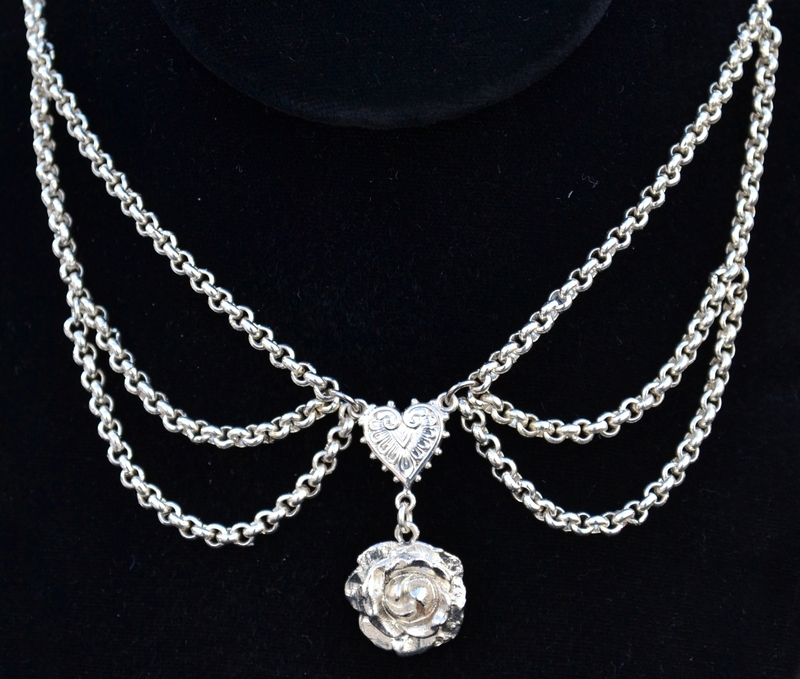 Rose necklace with multiple chains and heart design in center. Silver plated. Imported from Germany.